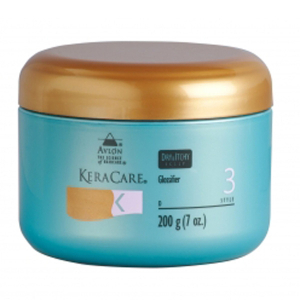 KeraCare Dry and Itchy Scalp Moisturizing Conditioner will soften and nourish your hair and scalp, whilst helping to reduce dryness, itchiness and flaking. 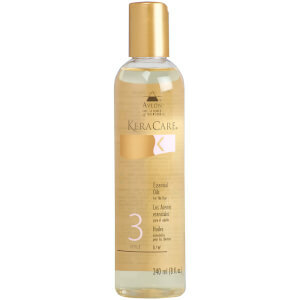 Mild and gentle, the cooling and soothing formula also detangles your hair to make it easier to comb and manage. 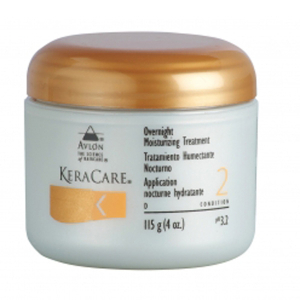 Suitable for use on relaxed, permed, colour-treated or natural hair, this hydrating conditioner will calm sensitive scalps and rebuild your hair to minimise damage and breakages. - L.M. Aqua/Water/EAU, Ammonium Laureth Sulfate, Ammonum Lauryl Sulfate, Cocamide DEA, Polyquaternium-28, Cocamidopropyl Betaine, Glycol Stearate, Zinc Pyrithione, Menthol, Magnesium Aluminum Silicate, Dihydrogenated Tallow Phthalic Acid Amide, Propylene Glycol, Lamium Album Flower Extract, Pinus Sylvestris Cone Extract, Arctium Lappa Root Extract, Anthemis Nobilis Flower Extract, Rosmarinus Officinalis (Rosemary) Leaf Extract, Hedera Helix (Ivy) Extract, Arnica Montana Flower Extract, Nasturtium Officinale Extract, Allium Sativum (Garlic) Bulb Extract, Calendula Officinalis Flower Extract, Tilia Cordata Flower Extract, Centaurea Cyanus Flower Extract, Chamomilla Recutita (Matricaria) Flower Extract, Hypercium Perforatum Extract, Fragrance/Parfum, DMDM Hydantoin, Tetraodium EDTA, Citric Acid, Benzyl Salicylate, Hexyl Cinnamal, Linalool, CI42090.